We&apos;ve created a new slide type specifically to track salvations. When a user clicks on a salvation slide, it&apos;s tracked and reported though the Dashboard or Summary emails. 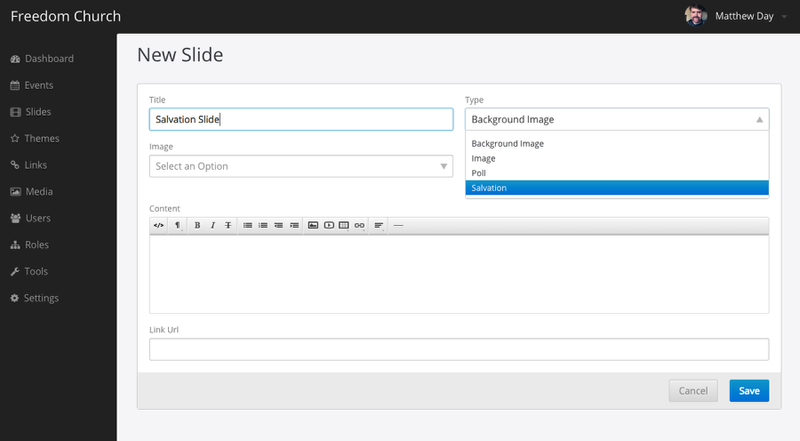 You can access the salvation slide when you are creating a new slide. When you are creating your slides, select "Salvation" and your clicks will be tracked in the Dashboard data.